Who doesn’t appreciate the option to choose? 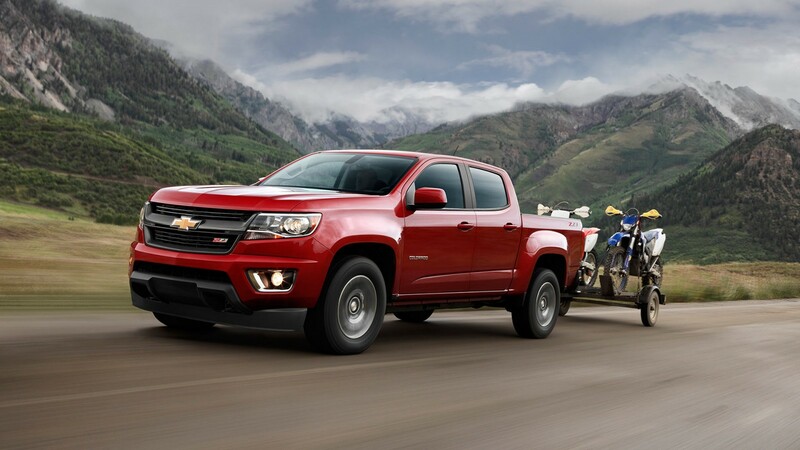 Customers enjoy the opportunity to pick between several options, and there’s no denying that the 2016 Chevy Colorado offers a number of choices. For example, the three engine options each offer their own specific best-in-class specs, while the various accessories allow owners to personalize their rides. Meanwhile, even after having purchased the vehicle, drivers can still choose between several of the vehicle’s standard offerings. For instance, drivers have a handful of ways they can enjoy their favorite music. You’re going to have a tough time choosing between the Colorado’s three available engines. Fortunately, regardless of your final decision, you won’t be unhappy with your choice. The 2.5-liter I-4 may be the smallest of the bunch, but the engine still produces several best-in-class specs. The system leads the segment in horsepower (200) and torque (191 pounds-feet of torque), and these specs play a significant role in the 3,500-pound towing capacity. Furthermore, even with all of that power, the engine still manages to produce a best-in-class fuel efficiency at 20 city/27 highway miles per gallon. Meanwhile, the hulking 3.6-liter V6 provides all the muscle a driver could want with the best-in-class 305 horsepower (which pairs nicely with the 269 pounds-feet of torque). Combine these specs, and drivers can anticipate a best-in-class 7,000-pound towing capacity. Finally, the V6 engine can also promise a best-in-class 18 city/26 highway mile per gallon fuel efficiency. For those seeking a diesel engine, the Duramax 2.8-liter Turbo-Diesel is the perfect option. The unit only offers 181 horsepower, but the best-in-class 369 pounds-feet of torque certainly make up for it. The system also manages a best-in-class 7,700-pound towing capacity and a best-in-class 22 city/31 highway mile per gallon fuel efficiency. This engine actually played an important role in the 2016 Colorado Diesel earning Motor Trend’s Truck of the Year award. Whether you value power or efficiency, each of the three engine options can provide all of the capabilities a driver is seeking. 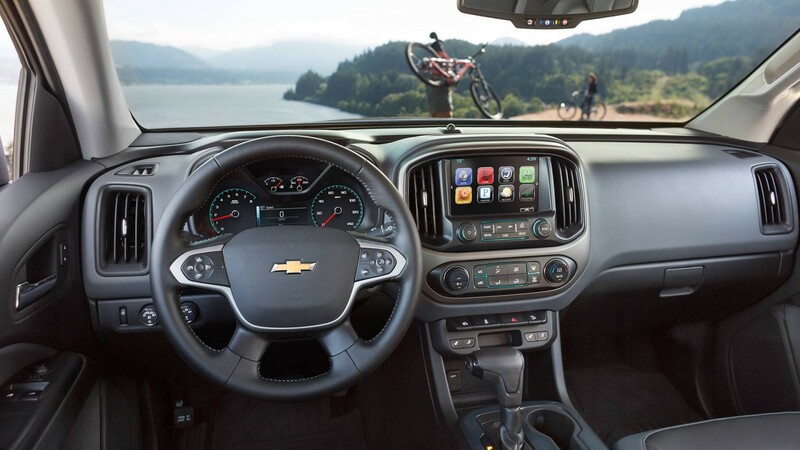 Thanks to the Colorado’s innovative interior technology, drivers can enjoy their favorite tunes in a variety of ways. For starters, drivers can appreciate their favorite radio stations via the truck’s Chevy MyLink system. The eight-inch touch-screen allows drivers to easily access their preferred tunes. If drivers would rather, they could dish out a subscription for SiriusXM Satellite Radio. Thanks to MyLink’s extensive application catalogue, drivers can also appreciate their favorite music via Pandora online radio. Of course, the MyLink system also allows drivers to access a number of additional apps, including a reliable navigation system. Finally, thanks to the Apple CarPlay capabilities, drivers can seamlessly connect their iPhone to the MyLink system so that they can access their preferred playlists via their smartphones. Furthermore, occupants can utilize the hands-free calling capabilities, so drivers can easily call home without compromising safety. While drivers may need to utilize all of the Colorado’s safety technologies at one time or other, they’ll presumably only be relying on one at a time. Fortunately, each of the truck’s safety features should keep the occupants out of harm’s way. The Colorado offers a number of preventative features that should keep the pickup and the occupants out of harm’s way. The Forward Collision Alert will notify the driver via audible and visual cues when they’re approaching a stationary object at too great a speed. The Lane Departure Warning serves a similar purpose, alerting the driver when it’s unsafe to switch lanes. Of course, drivers can rely on the rear vision camera to see everything that’s happening behind their new pickup. If a driver does encounter an accident, he or she can be assured that multiple aspects of the Colorado will keep all the passengers secure. The high-strength steel frame and the reinforced safety cage are sturdy enough to overcome any impact (as well as dissipate the energy away from the passengers), while the dual-stage frontal, head-curtain side-impact and seat-mounted side-impact air bags will provide the necessary amount of cushion. Fortunately, drivers can rely on their Colorado to provide immediate help. The OnStar Automatic Crash Response will connect drivers with an advisor, who will automatically notify emergency personnel. All the while, the pickup will automatically shut off the fuel pumps while also unlocking the doors and turning on the hazards, thus providing a safe atmosphere while you wait for help to arrive. Of course, drivers can also opt for a number of amenities to help personalize the pickup. The leather seats will provide both power and comfort, while the available storage compartments allow drivers to secure their most valuable cargo. Finally, drivers can add up to four USB ports, meaning occupants can constantly keep their gadgets alive. When it comes to the vehicle’s operations, the available four-wheel disc brakes with Duralife brake rotors will provide maximum traction and stoppage power, an especially appreciated feature during the winter months. Meanwhile, the Electric Power Steering will take away some needless responsibilities from the driver. Speaking of the driving experience, Colorado owners will notice that their pickup provides one of the quieter rides. The thick windshield and glass, the triple sealed doors, and the “liquid applied sound deadener” guarantee that drivers won’t be distracted by the whistling wind or powerful engine roar. If drivers really want to ignore those white noises, they will appreciate those previously-mentioned tunes via the available Bose sound system. 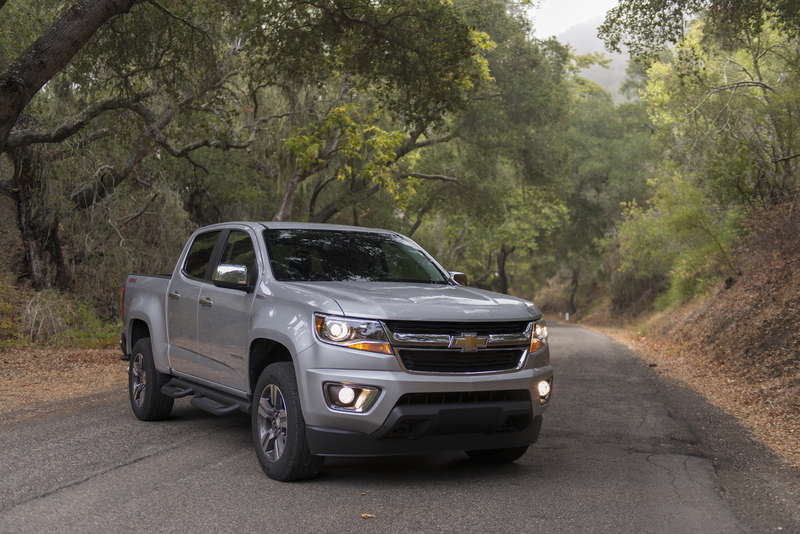 Drivers will be granted a number of choices when it comes to the 2016 Chevy Colorado. They can opt for a number of engine and accessory options, allowing them to personalize the ride. Furthermore, the various music and safety options means drivers can constantly keep the ride feeling fresh and looking new. 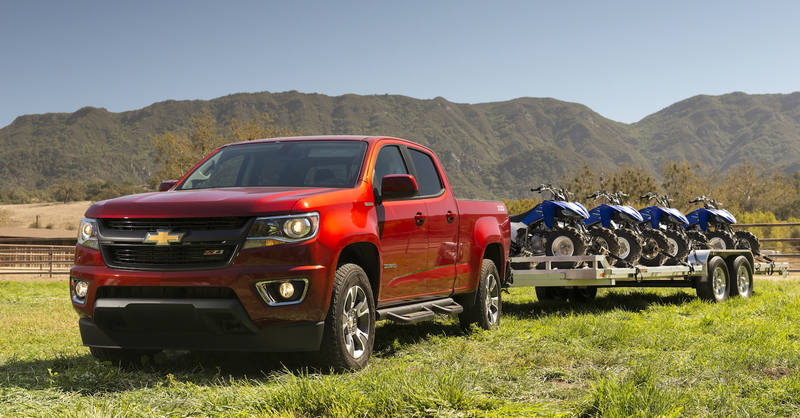 These choices are a big reason why the Colorado continues to be one of the most popular pickup trucks on the market.